Prime Minister Narendra Modi, considered stylish by many, dons several hats quite literally. 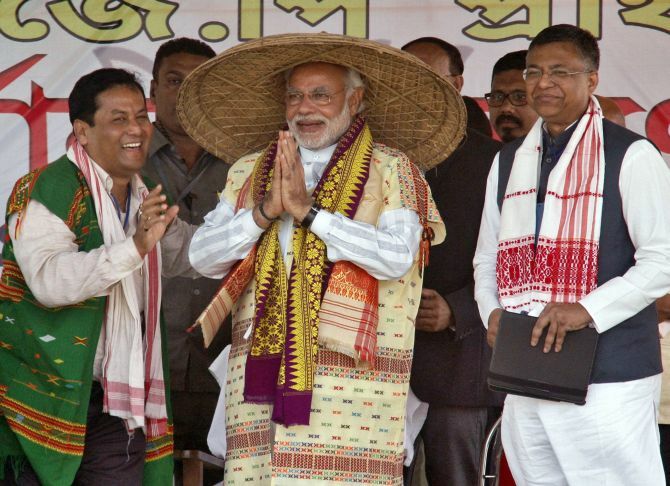 From the traditional headgear of Nagaland, to the pagadi to the Assamese traditional japi, Modi has worn it all. Prime Minister Narendra Modi has added to the array of his images in colourful local headgear. 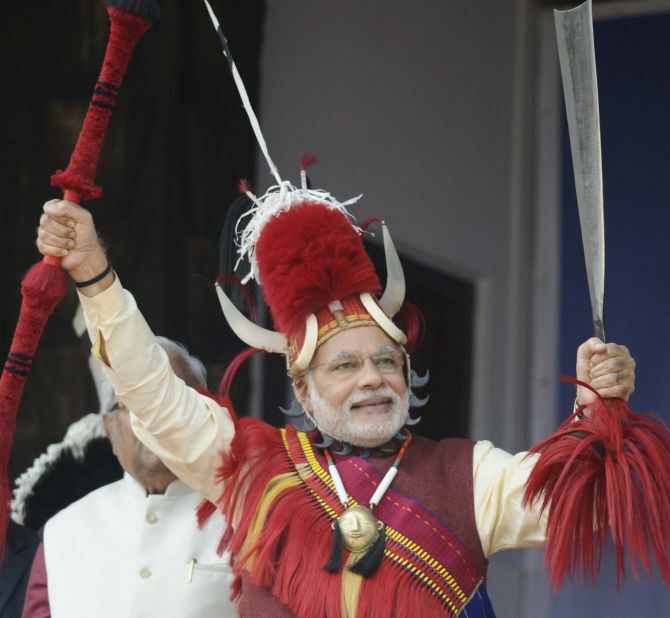 On Monday, he spoke at a festival in Nagaland wearing a traditional tribal headpiece that symbolizes a hornbill. 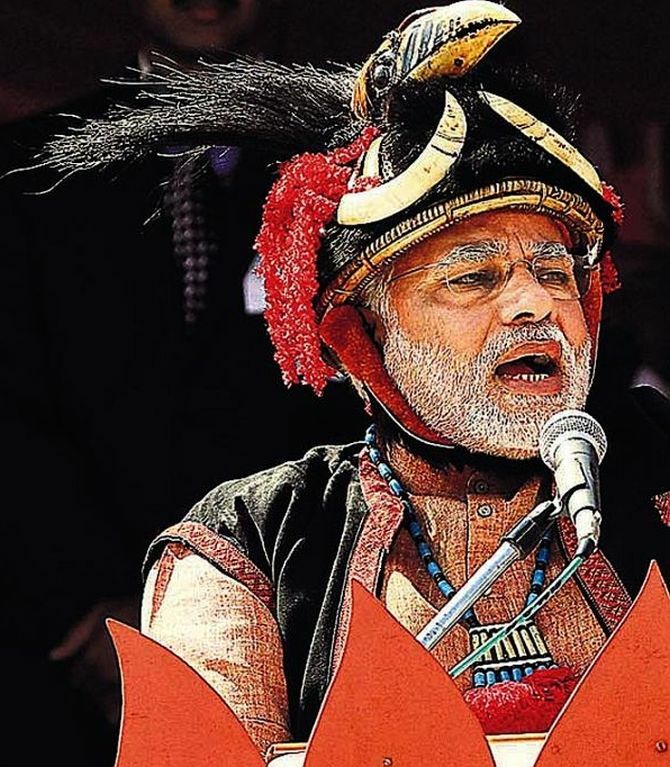 While he was in Arunachal during the Lok Sabha elections campaigning, the prime minister wore a dumuluk, a traditional headgear of the Adi tribe. 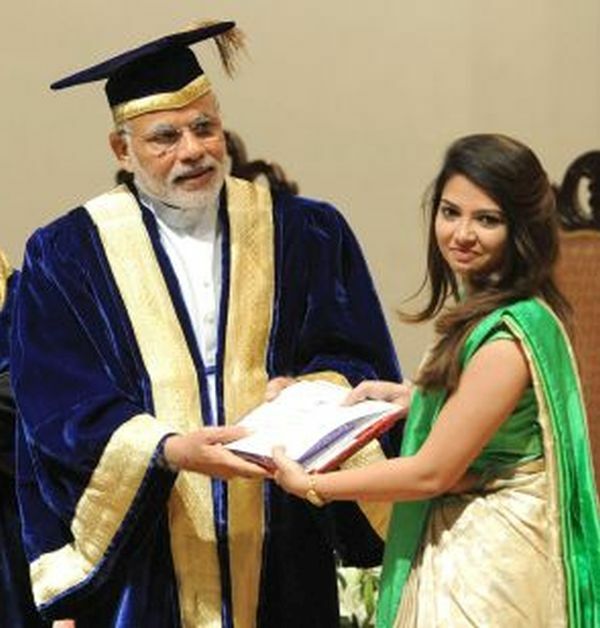 PM Modi looked oh so academic and scholarly when he donned the graduation robes and headgear while he addressed students at the All India Institute of Medical Sciences convocation in October. 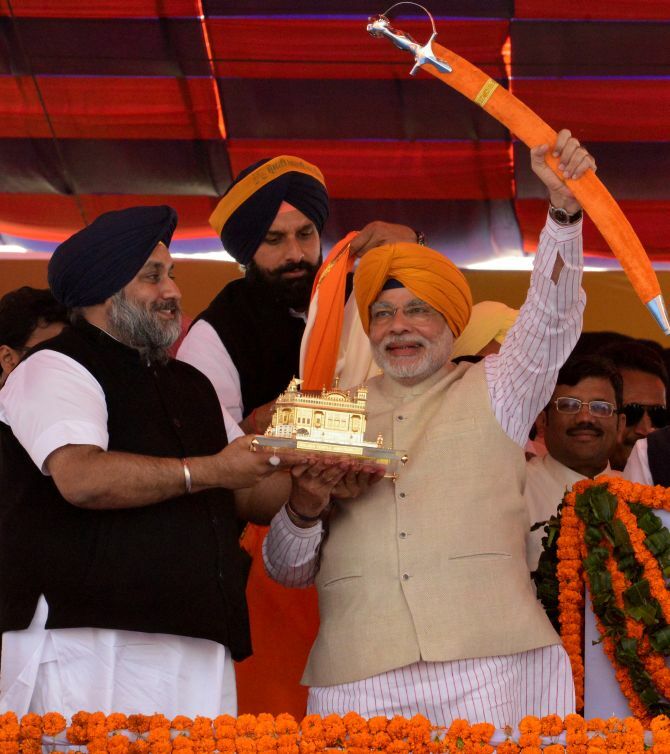 The PM also wore a Punjabi pagdi while he addressed crowds in Jagraon in Ludhiana during the national elections. Like Varun Dhawan's look in Badlapur? VOTE! The amazing success story of Abhijit Avasthi!